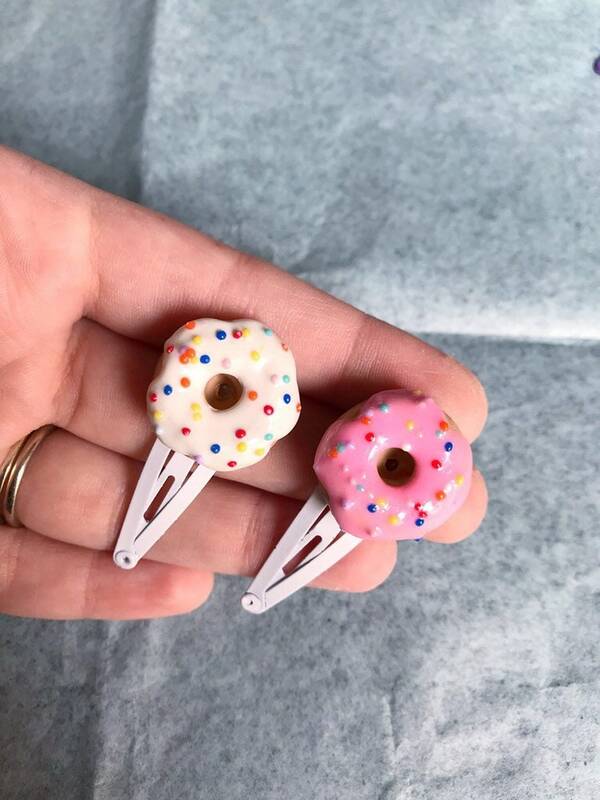 These hair clips are handmade from polymer clay! 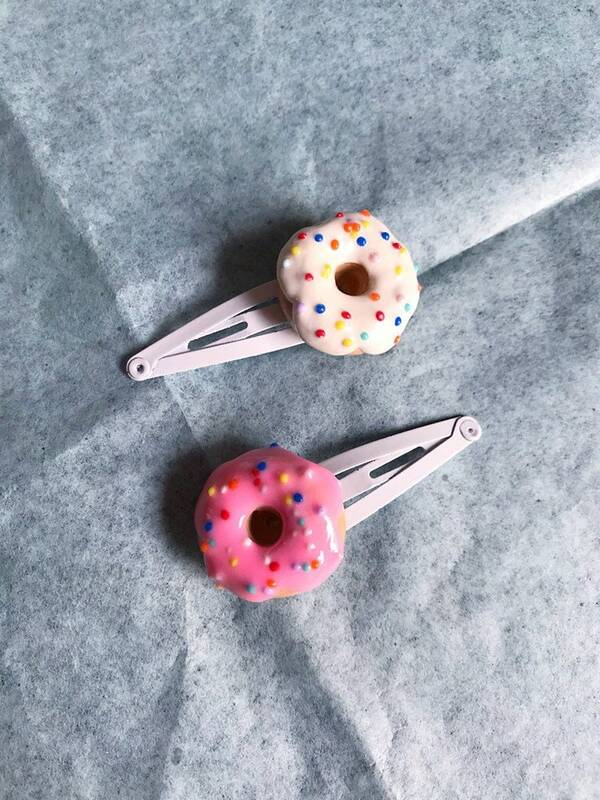 They are adorned with little round glass sprinkles! 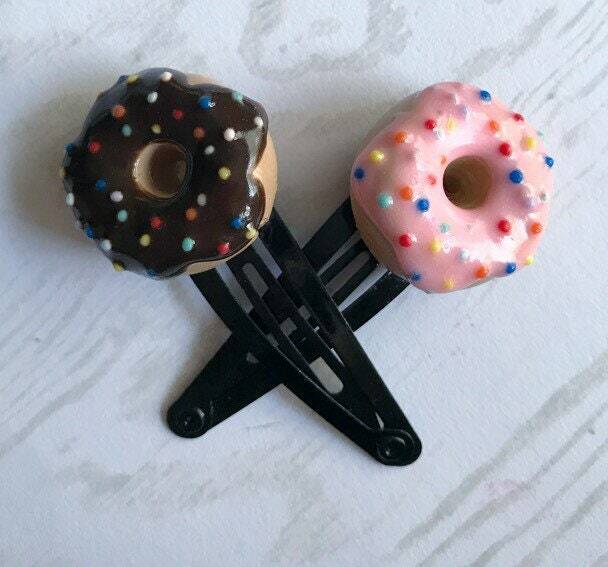 Please choose if you would be interested in 1 or 2 donut hair clips along with your desired color(s). I currently have the color options PINK, BROWN, or WHITE. 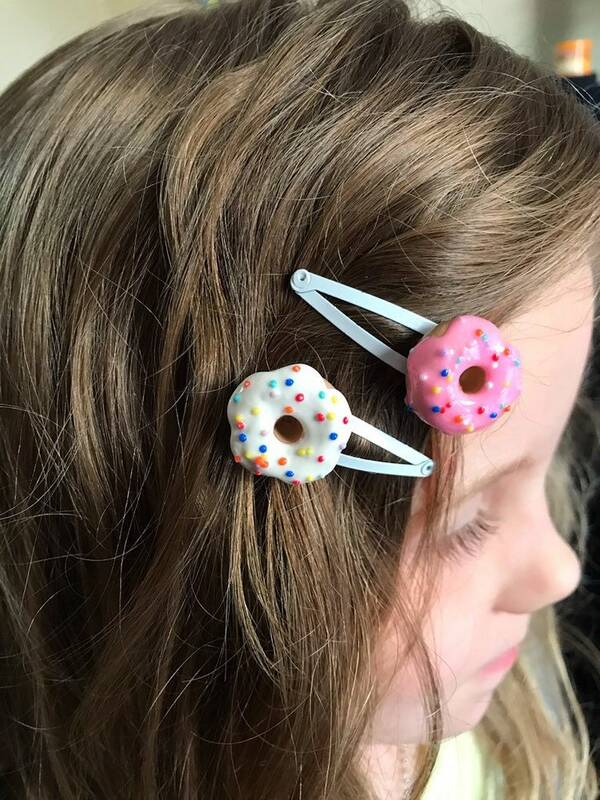 I am also able to make custom colors if it is desired so please message me! These are a MADE TO ORDER item (3-5 days) I do make items everyday of the week to make sure you get your purchase ASAP💕. This item is mailed in a jewelry box, tissue paper, and placed in a pink poly-mailer.